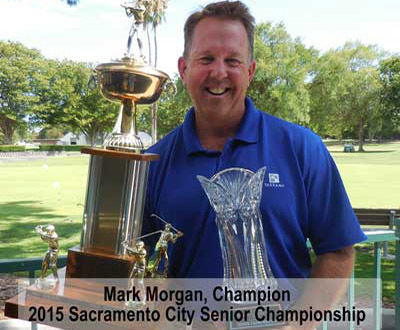 The 2015 Sacramento City Senior and Super Senior Mens Championship was held on July 7,8 at Bing Maloney Golf Club in Sacramento. 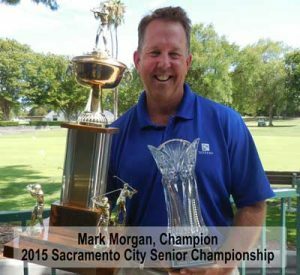 Tuesday’s leader at 68 was Mitch Harrison, followed by Jim Knoll (2014 champion) at 69, and Mark Morgan at 71. The final round found Morgan perservering to a final round 71, winning by two strokes over Harrison. Both Harrison and Knoll finished at 74 for the day. Wednesday Morgan scored three birdies on the front nine, then went eagle on 11, and birdie on 13. 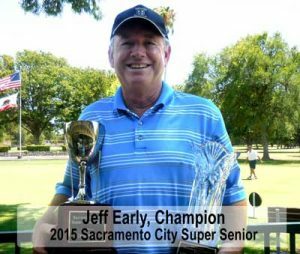 In the Super Senior group, Tuesday’s leaders were Jeff Early and Carl Selkirk at 71.